Wind-up and solar powered torch, no batteries required. Select 1 or 3 LED beam or flashing light. 1 min winding for 10-20 mins power (3 LED), 20-30 mins (1 LED), 50 mins (3 LED flashing). 12 hours full charge under sun. 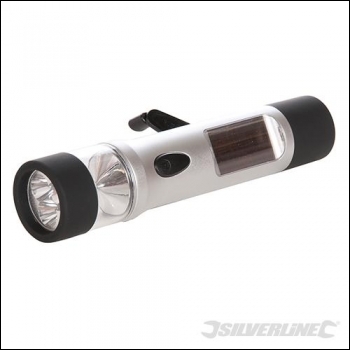 Ideal for camping, boating, hiking and for emergencies.